Splitting a layout column horizontally? I currently have a two-column layout on the homepage of my test site (http://loremipsumgames.yolasite.com/). 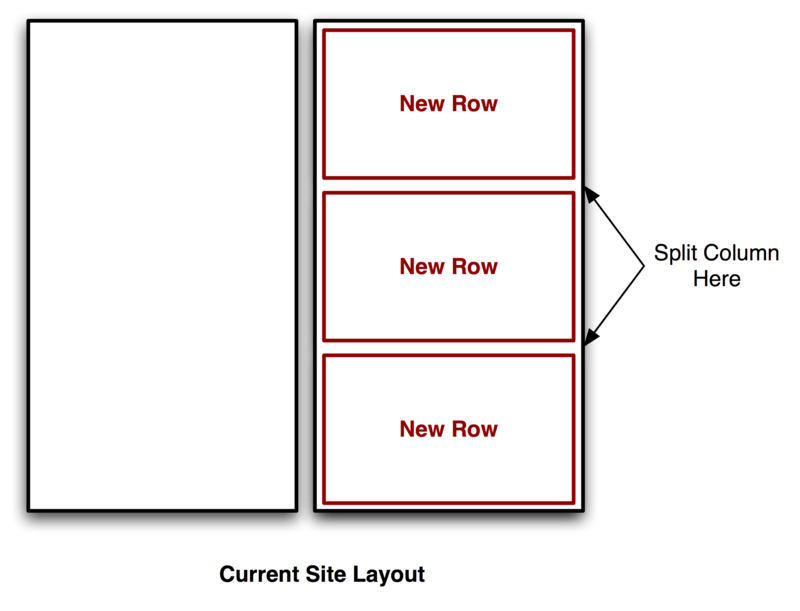 In the Site Builder, I'd like to split the right-hand column into 3 horizontal columns - thus making the layout pattern something like an "E" shape, or the "three-over-one" layout rotated 90 degrees clockwise. You can add more Column Divider Widgets within the original Column Divider Widget. Thank you for your response! I didn't know you could nest column dividers, so that's something really handy to know! I don't think my explanation made it very clear what I was asking - I apologise for this. I think, in hindsight, a diagram would have made my question much clearer. Thus, can I split the right-hand column horizontally into 3 rows? Brendan, I think you'd be better off using the one column layout. 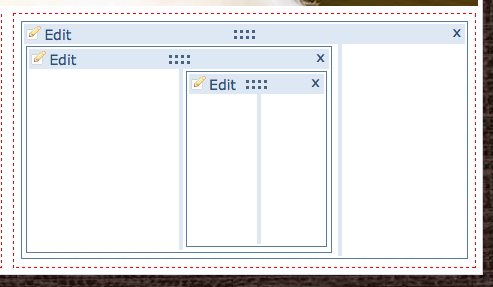 Drag a 2 Column Divider widget over. Drag an html widget into your Left Column. It may look like it doesn't line up, like you want in the sitebuilder, but if you Preview, it looks good. 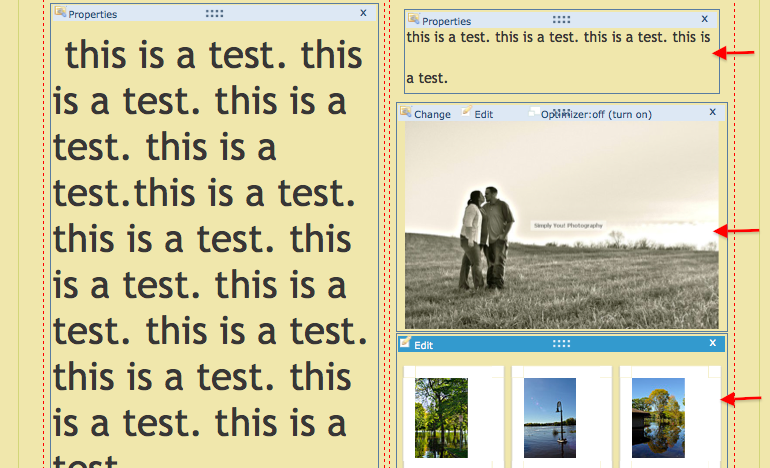 Note the 400 px width works for a 900 width header, considering margins. Change the width and height numbers to suit your needs. ps it's not as hard as it looks. Don't use the < ! -- or --> part of the code. that's only needed here in the forum to display the actual code. I hope these suggestions are helpful. Please let us know if you need further assistance. Good idea, Brianna. A 2 column layout would work fine. I'm not sure why I added that extra step. Actually, I do know why. 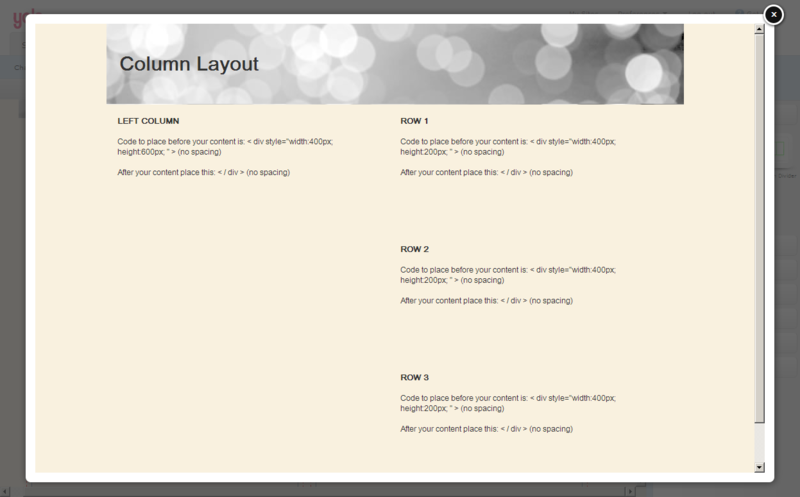 I like to use a footer on my pages, which requires a one column layout. I intended to put several different widgets (an image and 2 text boxes) into each of the 3 rows, and my first attempt at achieving this used your method, Brianna. I think the nested widgets proved to be my undoing, and I thus posed my question here. I think Jean S's suggestion will give me the outcome I'm looking for, especially since I also have a footer on my homepage. Thank you both again for your time and feedback - I'll update you as to how my changes turn out!